These first-hand accounts are true tales from people who have encountered ghosts, spirits or angels. These amazing stories include the chilling apparitions of the dead, spirits who provide help in time of need, and angelic visitors who guide and encourage. There are well over 120 stories and although many come from Kentucky, there are tales from other states as well. Accompanying the mysterious stories are photographs of the places and people connected with the tales. Story titles give tantalizing hints as to the compelling narrative shared: Help from Beyond the Grave, My Last Halloween, Someone Who is Not There, Double Trouble, Haunted Quaker Church, Four Stories of Spiritual Battle, Bright Light Figures, Ghost Cat, My Nanny the Witch, God Wears Shiny New Pajamas, Angel’s Warning Call and White-Robed EMT. 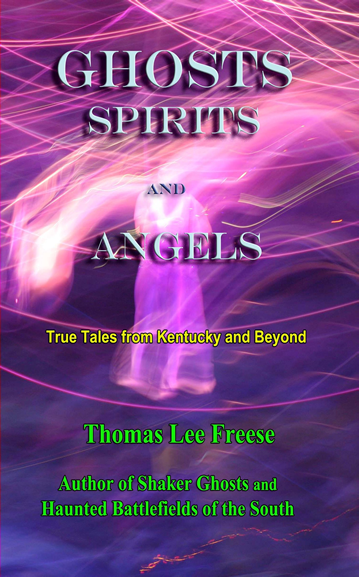 These tales will resonate with those who experienced spirits or angels.